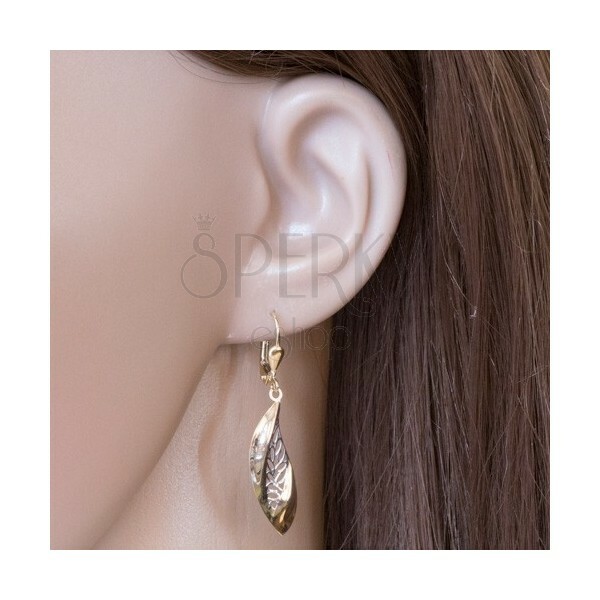 Dangling 585 gold earrings, slightly curved leaf decorated in the middle with a layer of white gold and tiny connected leaf contours. 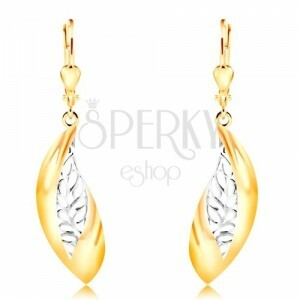 By buying this product you can collect up to 65 points as a voucher of $17.55. Your reward points. 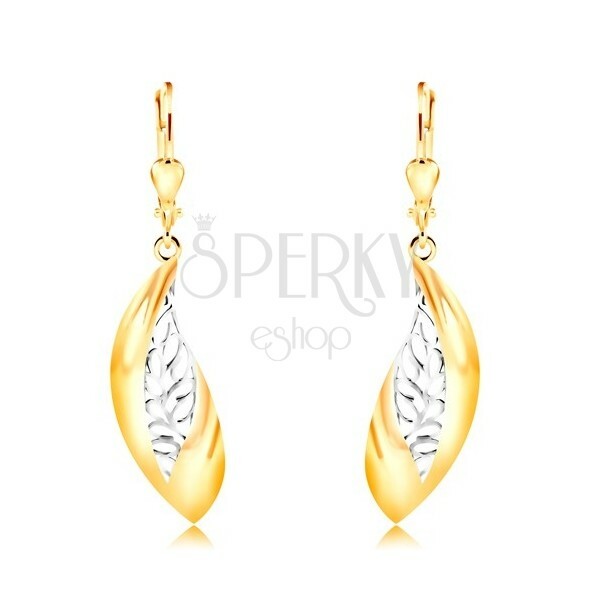 Earrings in combined 14K gold are made in the shape of a curved leaf with slightly rounded and shiny surface. 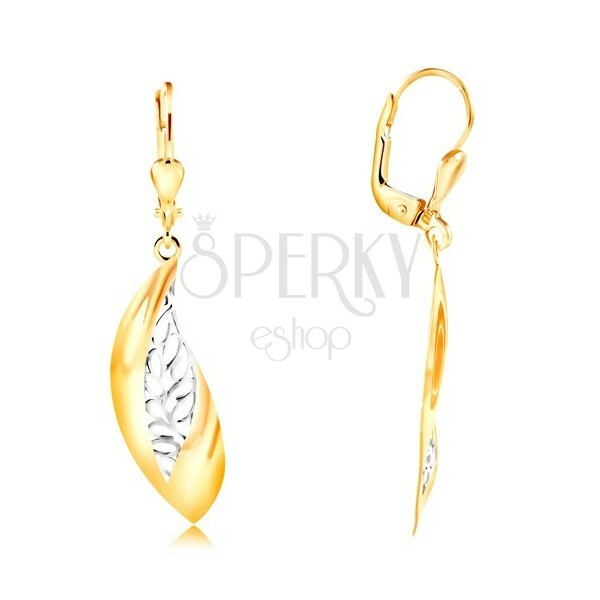 Through the middle of the leaf diagonally stretches a curved line made of small connected grain contours with a layer of white gold. 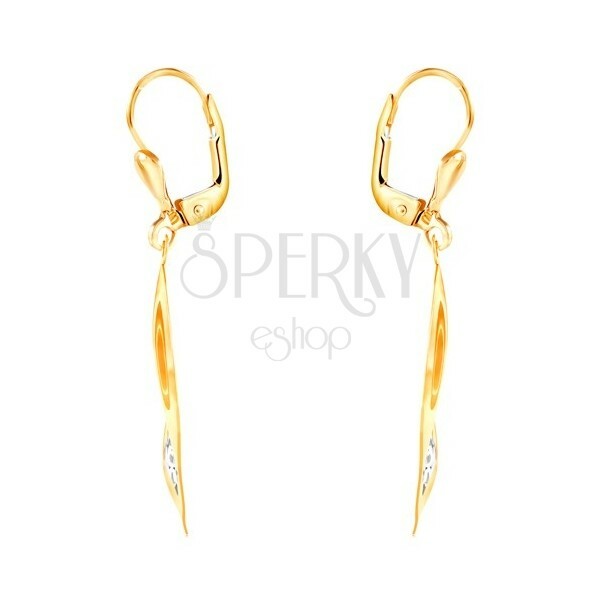 The earrings have lever back fastening that is decorated with a small reversed drop.